Canadian auto sales slid slightly in May 2016 thanks to an abbreviated auto sales calendar – the “month” didn’t begin until May 3 – and nosediving passenger car sales. At the top of the leaderboard, the Ford F-Series’ 22% year-over-year increase in May 2016 far outpaced the industry’s 1.5% decline and the pickup truck sector’s 0.6% uptick. The F-Series and Ram P/U are both on track for record Canadian sales years. At the current rate of growth, Honda’s Civic could get to a record level, as well. Canada’s best-selling SUV/crossover, the Toyota RAV4, set a Canadian sales record in 2015 and is on track to smash that record in 2016 – sales are up 17%. Two new vehicles were added to the new vehicle sales ledger in May 2016. Jaguar Canada began selling their first SUV, the F-Pace. 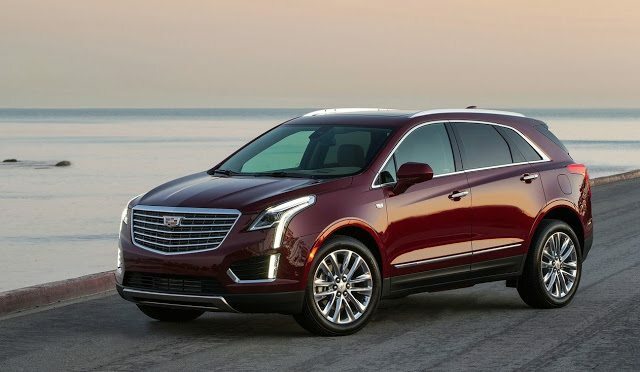 Cadillac’s SRX replacement, the XT5, also began its run in May. The overwhelming majority of new vehicle sales, however, aren’t produced by luxury SUVs and crossovers, even in a market where they’re rapidly gaining market share. Canada’s 20 best-selling vehicles produce 47% of the Canadian auto industry’s volume. Canada’s five top-selling vehicles account for one in five Canadian new vehicle sales. medianet_width=’300′; medianet_height= ‘250’; medianet_crid=’717379412′; Reminder: these are 2016 year-to-date rankings, but you can sort vehicles by May 2016 volume by clicking the May 2016 column header, or you can rank vehicles by improvements or declines using the % columns. Or, most importantly, you can list automakers together by selecting the Vehicle column header. There are visible brand results, so when you sort the table by vehicle names to showcase, for example, all Jeeps together, you’ll also see the Jeep brand’s total. Manufacturers are shown in bold to differentiate makes and models. At any time, click the Rank column to return to the original format. If you’re on a mobile device, you may need to choose the full version of the site (at the bottom of the page) in order to use the sortable function. ² Total Prius Family sales: up 26% to 871 in May; down 4% to 2886 YTD. ³ Total Santa Fe sales: down 12% to 3089 in May; up 0.5% to 13,943 YTD. ‡ Total Genesis sales: up 3% to 249 in May; down 18% to 1019 YTD. Sales data for brands such as Bentley, Ferrari, Lamborghini, and Rolls-Royce are unfortunately not broken down by model. estimates say sales for those brands in 2016’s first five months were 33, 90, 70, and 35, units, respectively. Total Maserati volume is reported, but not by specific models. It is believed that Tesla sold 570 copies of their Model S during the first four months of 2016.